While this is NOT the exterior of a Gothic revival/restoration stone church it just may be the interior of just such a church. This appears to be one of a number of images of the same church in the archive. This one shows a beautifully clean, tidy and empty church all ready for Sunday service but where is it? There was mighty craic with the image last Friday and may I apologise to all our Cork brethren for suggesting that their beautiful city is naught but a "hamlet" :-) And today's image is from no small hamlet either - but Down Cathedral in Downpatrick. (Which Niall McAuley told us with lightening speed - before our morning coffee had cooled! Early leader for that organ is St. Patricks Cathedral, Downpatrick. A modern shot which matches and a somewhat sparser looking Lawrence Edit: per the beachcomber below, the Lawrence is a reverse view. makes sense. There is a reverse view of that wonderful organ case - catalogue.nli.ie/Record/vtls000563832 , and a GoogleView from that side - goo.gl/maps/8NgHimsqUhQ2 - showing the case is intact. Ed. 2nd thoughts the streetview is this side, but the choir gallery has been extended east. 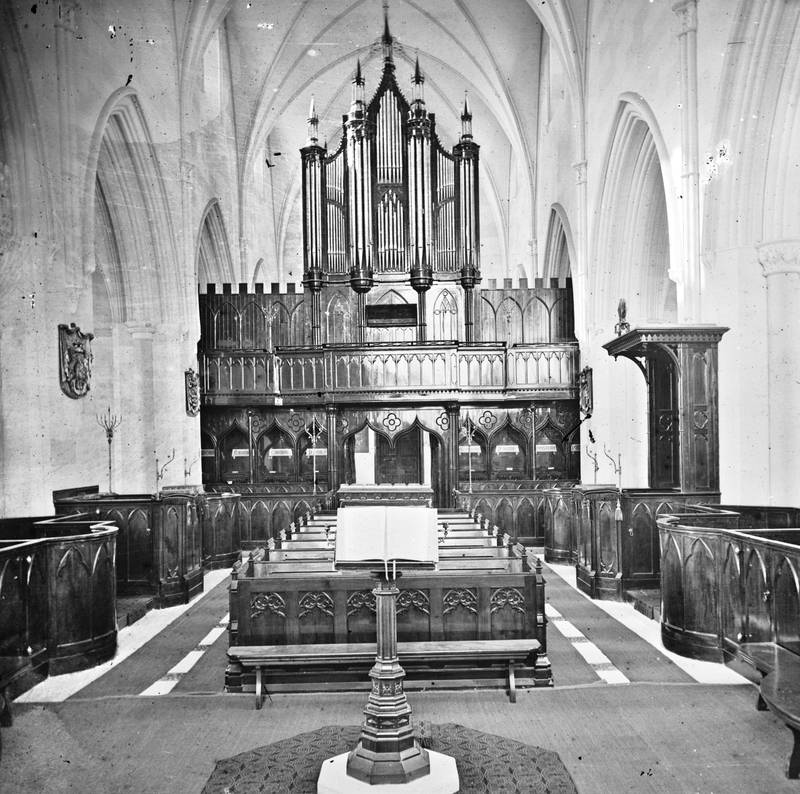 [https://www.flickr.com/photos/[email protected]] I google image searched Pipe Organ Ireland, and eyeballed the results for a match. [https://www.flickr.com/photos/gnmcauley] Ah. I was thinking if you were an authority on the pipe organs of ireland, we'd have found out a bit sooner than now. Per their website, this is not St. Patrick's Cathedral, it is the Cathedral Church of the Holy Trinity. From that site: The magnificent and renowned instrument has been in use from the early 1800s, enhancing worship and providing enrichment through recitals and various musical events.